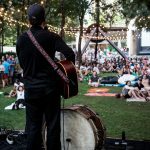 Enjoy a free performance by Black Lillies and a screening of ‘Incredibles 2’ on Friday, March 15 at The Nasher Sculpture Center. Enter our giveaway to win a picnic basket for two, courtesy of Wolfgang Puck! 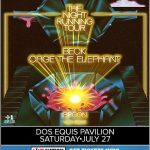 Beck & Cage the Elephant head to Dos Equis Pavilion on Saturday, July 27, with Spoon and Wild Belle. Enter to win tickets to this spectacular show. E.B. 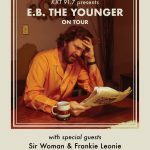 The Younger — aka Eric Pulido of Midlake — heads to The Rustic on Saturday, March 9. Throw your name in the hat to win VIP tickets. The New York native — who has written chart topping hits for Rihanna, Christina Aguilera and more — brings her latest release to the historic Granada Theater on March 3. The show is sold out, but maybe not for you! 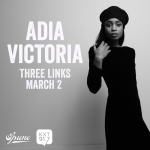 Adia Victoria heads to Three Links in Deep Ellum this Saturday, March 2. Enter to win a pair of tickets! 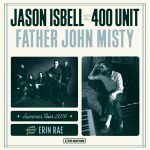 Jason Isbell and Father John Misty are joining forces this summer at The Pavilion at Toyota Music Factory on June 27. Enter to win a pair of tickets! 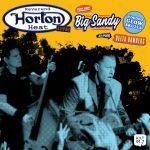 Dallas-based Reverend Horton Heat heads to House of Blues in Dallas on Saturday, February 23. Enter to win a pair of tickets! The Nasher is offering FREE admission + a performance by Rhett Miller on Feb. 15! And when you enter our giveaway, you could win a FREE picnic basket for two! 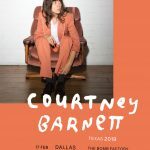 Courtney Barnett heads to The Bomb Factory on February 17. Throw your name in the hat to win a pair of tickets! 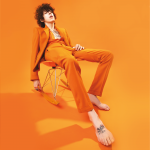 LP heads to Granada Theater on Sunday, March 3! Enter to win a pair of tickets to the show in Lower Greenville.